How can I reduce the amount of packaging I receive in the post? | How can I recycle this? How can I reduce the amount of packaging I receive in the post? The other day, Mrs Green of My Zero Waste mentioned how happy she was to receive something in the post wrapped in newspaper rather than a bubblewrap lined envelope or plastic bag. We buy a lot of stuff online – secondhand stuff from eBay, homemade things from Etsy/Folksy, computer bits, craft supplies, clothes for us and the bajillion small people exploding from the loins of our friends etc etc – and as a result, always have a large amount of packaging lying around our office. A lot of online shops have made improvements over the last few years – crinkled brown paper or air bags instead of polystyrene packaging nuggets, and I’ve received stuff from eBay in all sorts of reused cardboard boxes – but the pile still grows. I reuse it where I can (see below for related reuses) but I’d rather reduce the amount of stuff I receive in the first place if possible. The most obvious answer to the question is “stop ordering so much stuff online and support your local shops instead”, which is fair enough for some things but other things are harder to come by in real life. Has anyone ever asked an online shop to reduce the amount of packaging they use? Has anyone sent it back for them to deal with? I’d love to hear your experiences. If you sell stuff online, what do you do to keep packaging minimum? Got any suggestions for others in the same position? How can I reuse or recycle envelopes? 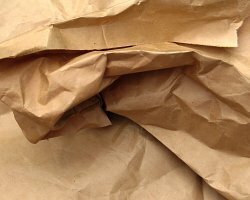 How can I reuse or recycle padded envelopes? How can I reuse or recycle plastic post bags? How can I reuse or recycle bubble wrap? How can I reuse or recycle packaging cushions? I sell my jewellery in 100% recycled boxes on recycled cards but have many return customers who return boxes to me when they buy for themselves. Most of them when they buy directly from me refuse bags and un-necessary packaging anyway. I always ask if they need a paper carrier rather than give it automatically. Saves my costs as well as the environment. I always reuse cardboard boxes and jiffy bags for sending items off but have an ever growing store to call on for doing this as many of my orders are sent via the internet. The smaller companies I notice do recycle but the printers I use which are massive don’t. Anyway time, we get a parcel from Canada, we get old paper bags used as the outer layer because all packages should be wrapped in an outer layer of Brown paper there. I often leave a note to the seller when checking out with Paypal just to ask that they use recycled packaging where possible. When I started selling stuff I used jiffy bags because they were stronger than paper envelopes but not only are they expensive, they’re more likely to be in the bin than be recycled. I found some thicker paper envelopes instead and just use those because nearly everyone can make the effort to recycle paper. I sell stuff on a similar to Ebay website here and I have never needed to buy packaging. I have always managed to russle up something from my stockpile of used packaging materials. I can then pass on the savings to the customer who will be more likely to bid on my item if the postage costs are just cost not packaging as well. My only outlay is packaging tape, and paper for writing the new addresses on. However I am not running a business so a professional image is not as important to me. Bubble wrap is essential for postage no matter how you try to get around it. I never through it out and use it as many times as I can. I got something in the post from eBay over the weekend – it was in a cardboard frozen pizza box. The item wasn’t breakable so didn’t need any padding, and the box was a perfect size for it – great reuse! if you have delicate silky scarves, underwear, etc, store each item in such envelope, so they don’t get shuffled inside the drawer. I work for a company who use all our waste paper, we shred it and use it to send out things by post, that is after we have used the back of all the pages as our scrap notepaper first, we try to reuse any boxes we receive in the office for sending out orders again. We also stick a little note in asking people to send back any boxes or inserts for a small discount off their next order, the discount is not much usually just the cost of the postage for sending it back but it is an incentive! 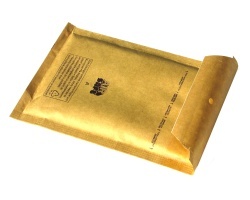 we also use those little plastic forlders when they get broken as document wallets on the outside of parcels. If only all companies could be like that! I’m not sure that this is completely on topic, but I send junk mail (including the original envelope) back to a different company. I like to think that a) it makes them think about how much rubbish they send out and b) if more of us did it, the post office wouldn’t have to keep putting the price of postage up because of the increased revenue from sending the junk mail back at the company’s expense!